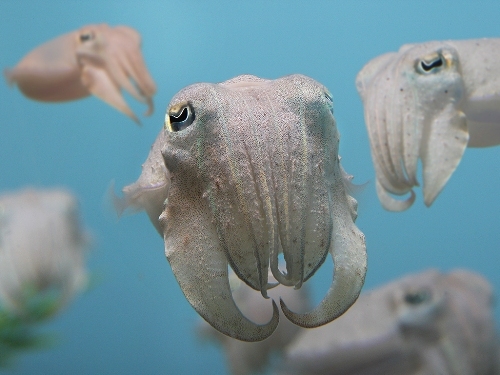 Cuttlefish is characterized with their 8 arms and W shaped pupils. The denticulated suckers are located on the two tentacles of cuttlefish. When cuttlefish catches the prey, it is secured by using the sucker. Sepia apama is considered as the largest species of cuttlefish. It has the weight at 23 lb or 10.5 kilogram. The mantle length is 20 inches or 50 cm. However; cuttlefish has the average length around 5.9 to 9.8 inches or 15 to 25 cm. The main diet of cuttlefish includes worms, octopodes, fish, shrimp, crabs and molluscs. 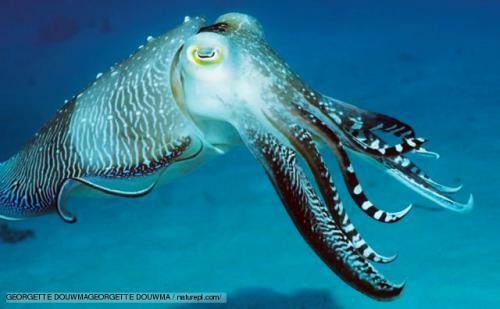 Cuttlefish is hunted by other animals such as seabirds, fish, seals, sharks and dolphins. Cuttlefish does not live longer. It can live for around 1 until 2 years. The intelligence of cuttlefish is great. 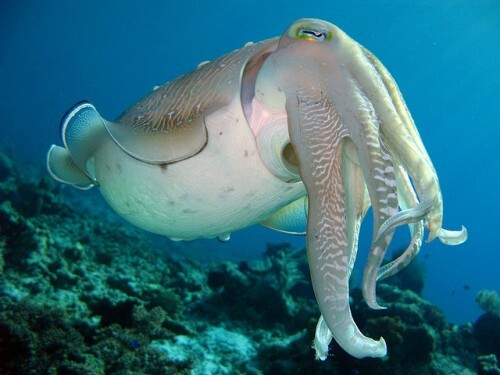 If you compare the brain to body ratio of cuttlefish with other invertebrates, it has a very large one. The people who want to cook cuttlefish for food can get it from English Channel, East Asia and Mediterranean. The people in Asia often cook cuttlefish into snack. It is very popular. When the Italian people want to create risotto al Nero di seppia, cuttlefish will be used. It is very common for the people in Europe to use cuttlefish as a cuisine. There are many Spanish dishes and tapas created from squid ink and cuttlefish. If you are in Andalusia, don’t forget to try the popular dish created from the deep fried cuttlefish. Find facts about crayfish here. 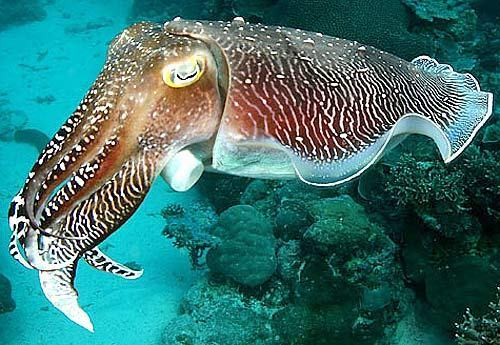 Cuttlefish is not only used as a food, but as a research subject. The scientists are interested to know the ways to imitate how cuttlefish changes their color. 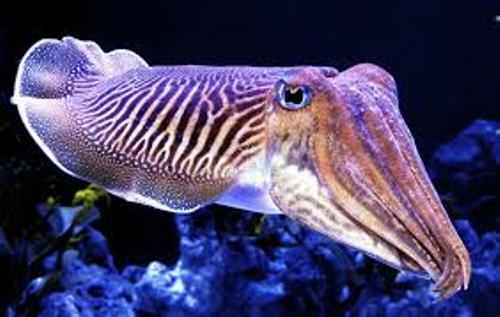 Cuttlefish is not popular as a pet because of the short lifespan. However, some people decide to keep it as a pet. Sepia bandensis and Sepia officinalis are the common pets. Get facts about crustaceans here. Do you like reading facts about cuttlefish?